The youngest victim was 3 years old. Forty-three people were missing, but many or most of them may simply have been unreachable to the family and friends who reported they couldn't find them, Santa Barbara County Sheriff Bill Brown said. Some smaller number, which authorities wouldn't give, were actively being investigated as missing people who could be dead under the debris. 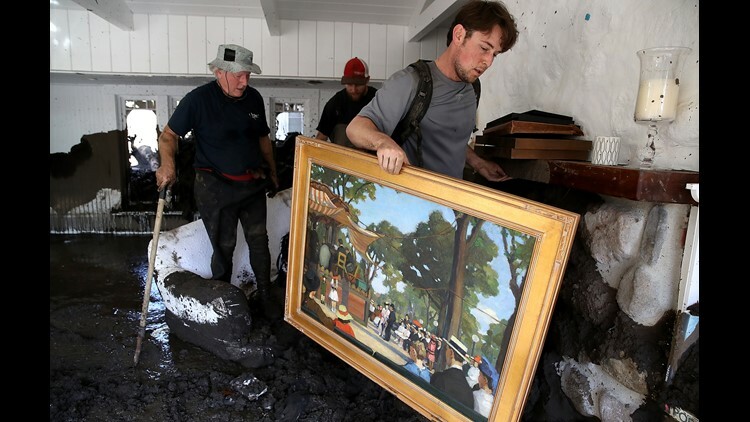 Robert Drenic carries a painting the home of a family member that was destroyed by a mudslide on January 11, 2018 in Montecito, California.